Looking for a complete guide to have a sound knowledge about the best car amplifier? 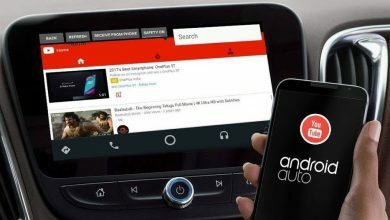 Don’t worry we have got it all covered for you today in this Car Amplifier Buying Guide 2019. You will come to know all the necessary things about car amplifiers, its types, its uses and its performance factors etc. So, stay tuned and read the article to get knowledge about the car amplifiers. Best car amplifier will always enhance your car speaker performance. 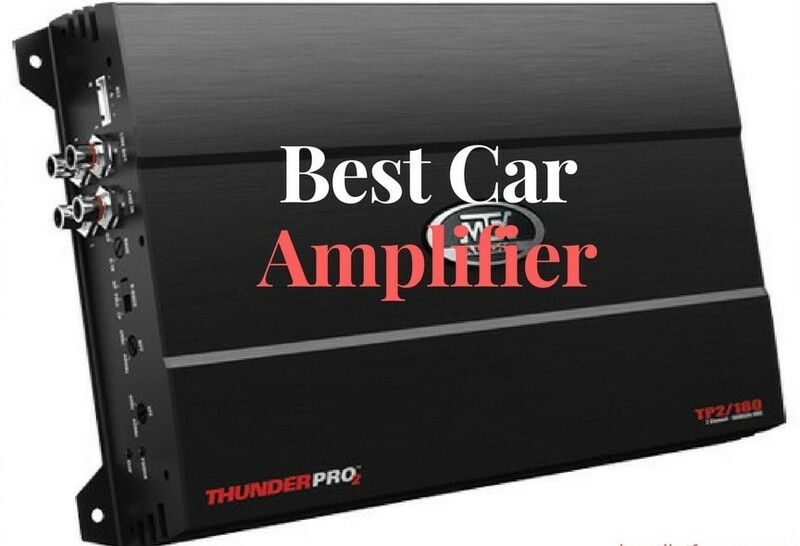 Here are the detailed reviews of Best Car Amplifiers 2019. 1 What is a Car Amplifier? 2 Why Do You need to Add an Amplifier in Your Car? 5.2 Which Amplifier Class You Should Choose? 6.1 What Does Car Amplifier Do? 6.2 How To test Car Amplifier with Best Multimeter? 6.3 How To Use Car Amplifier in Home? What is a Car Amplifier? A car amplifier is basically an electronic device which is used to increase the audio input signals which allow a boost to the subwoofers or woofers so that they can deliver a crystal clear voice. The amplifier works as a brain of your music system in the car where you use it according to your music requirements as well. A power amplifier is a necessity of every car music system nowadays as it allows you to boost the level of sound in your cars. It is recommended for every Car Stereo to be used with quality car amplifier for the better experience. Why Do You need to Add an Amplifier in Your Car? An amplifier enhances the sound quality of woofers or subwoofers of your car by providing them with enough electronic signals so they can perform well. Your music will sound a lot more clearly when you add an amplifier to your music system as it gathers all the electronic signals available to pas it to your subwoofers. That being said, an amplifier gives a proper power source to the speakers which enables them to drive without any straining issues. A factory built-in stereo system will not allow enough power to your upgraded speakers which will result in the sound being lower or distorted and you will get irritated by the sound of your new upgraded music speakers. On the other hand, if you install an amplifier, it will provide the required power to your new speakers and speakers will be able to run smoothly and without any issues. That is one of the most prominent benefits of using an amplifier. A lot of people know that powering a subwoofer is not a piece of cake. It requires a large amount of power in order for a subwoofer to run smoothly. The factory built-in receiver or stereo is not able to provide enough power to the subwoofers you have installed in your car. This job is done perfectly by using an amplifier as a source of power for operating your subwoofers with great, loud and clear audio quality. Wiring kits are able to provide every type of wires you need to install an amplifier. In case if you want to connect your speakers to the amp, you will need an extra speaker wire for it. You will need a capacitor which is able to store the reserve power and deliver it easily whenever your amplifier needs it the most. You will also need some extra hardware such as battery terminals and power distribution hardware in order to install an amp properly in your car. Now I have seen many fellows asking, “how to choose amplifier for speakers”. Here, I have explained all the details that you will need to choose an amplifier for speakers. Well, this is the place where things start to be more complex and you need to pay full attention in order to find your needy amplifier system. 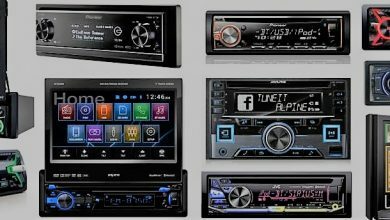 Car amplifiers usually come in 6 different types and we are here to discuss all of them so that you should know the type which suits your car music speakers, woofers or subwoofers easily. Without further ado, let’s have a look at them. Mono channel amplifiers are also known as D class amplifiers and they are used to generate a bit more power than that of the dual channel model. That being said, this amplifier type utilizes multiple transistors. However, they are generally in an on or an off like position. There is no in between for this type of amplifiers. D amplifiers provide your subwoofer, speaker, and woofer enough power to generate a loud sound. You will usually face a lot of distortion from mono channel speakers and the D type amplifiers are able to reduce the distortion of your mono channel speakers easily. Dual channel amplifiers are used to power two speakers at a time. They allow enough power to operate two aftermarket speakers at a time easily. These amplifiers are perfect for trucks or large vehicles where there is no trunk available. 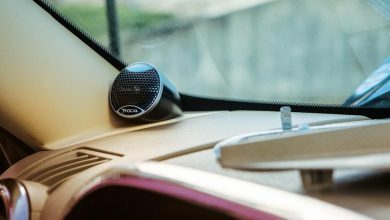 You can just adjust it beneath the space of your truck’s seat and enjoy the louder and clearer music from your dual speakers with the help of dual channel amps. Furthermore, they are also useful in reducing the distortion created by speakers. They will always provide a strong electronic signal to the speaker in order for them to run smoothly. Three channel amps use two types of circuitry in one amplifier. You will have enough power to operate three speakers at a time. More than that, this amplifier type is able to provide you with enough electronic signals so that your speakers can sound clearer and without any noise. Now, you can hear a loud and crystal clear songs or your favorite tracks with the help of this amplifier. This amplifier type is best suitable for people who have got a truck or large vehicle where there is no trunk and you can only set the speakers beneath your seat. This is where things get serious. The 4 channel amplifier system is used to connect 4 channels at a time and this amplifier type is used to power up a lot of speakers at a time. You can connect a whole speaker system to this amplifier type easily. Furthermore, you can use this amplifier system in a car trunk where you want to convert your car trunk into an audio arena. The amplifier power ups 4 speakers at a time easily. This amp type works the same as three channel type. It is basically a four channel amp system which also allows an extra subwoofer to connect to it. This type of amplifier system is able to power up 4 speakers and one subwoofer at a time converting your car trunk into a fully functional audio arena. These type of amplifiers are usually complex and you should not go for them in case they don’t fit your vision of audio arena. Six channel amps are not common in cars and they cannot be seen everywhere as they are for large vehicles and SUVs. They are able to power up four speakers and two subwoofers at a time providing an ultimate loud sound quality to you. These amps are capable of picking strong electric signals from the power source and distributing them to the speakers and subwoofers respectively. They are used for maximum power, loud sound, and audio quality. Well, these are things to look in depth if you are very serious in creating a perfect audio system comprising of subwoofers and speakers with the help of a good amplifier to have a good sound and audio quality. Now, your amplifier uses electrical signals and compress them in its circuitry providing different watt numbers as an output. These watts numbers are used to determine the OHM of an amplifier. Now, when we move toward the main question i.e. which one is better? we come to know that the higher the OHM, the better it is for your amplifier to power up your audio system. Some models even come up with 8 OHM functionality, The betterment of producing OHM depends on the type of wiring a subwoofer provider provides to you. We know that more OHM is equal to the more capable amplifier but it also requires a very complex wiring system. So, if you are not much serious a 4 ohm or a 2-ohm model will be enough for you to power up your car audio system. I have explained here, subwoofer size chart along with features and specifications of different car subwoofers. Well, before choosing a car amplifier, you need to know about certain factors which will help you a lot in getting the best car amplifier. 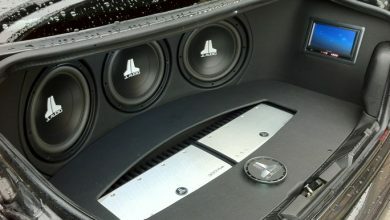 I have seen many fellows asking me about,”how to choose an amplifier for car speakers”. This Best Car Amplifier Buyers Guide contains detailed information on all types of car amp. These factors are very crucial in considering the performance and capability of an amplifier. Size is one of the most important and crucial factors to consider before buying an amplifier. You must choose the size according to the space available in your car. On the other hand, the amplifiers size directly impacts on their performance. If you have got small speakers in your car, you should probably get a small car amplifier. Similarly, for powering up large woofers and subwoofers, you will need a large-sized amplifier and that’s how the size of the amplifier works. So, know your needs and make a choice according to them or else you will end up regretting your decision of choosing a wrong amplifier. Well, this is the part where you will concentrate more prolifically. The number of the channel determines the connectivity of amplifier to speakers. If you have got only one speaker, you should buy a mono channel amplifier for it. Similarly, the trend goes for two speakers, three speakers and four speakers. Well, if you have got fur speakers and a subwoofer, you will need a 5 channel amp for this purpose which is able to power up all of them easily. So, keep an idea of using a specific number of speakers or subwoofers in your mind before buying a car amplifier. Power is also a necessary factor to consider before you buy a car amplifier. The power of your car amplifier will entirely depend on the speakers you have in your car. Don’t try to under-power your car speakers. Buy an amplifier which will be able to power your car speakers easily for a loud and clear music. On the other hand, if you need an amplifier for your car’s built-in speakers, you will need to calculate the RMS value of these speakers as its helpful in picking up a car amplifier. Always adjust stereo settings better sound and music. Another thing to be considered is the powering of your subwoofer. You can use two channeled amplifier to power up your car subwoofer but you should not do it forcefully. OF your car subwoofer requires more power, better buy a separate mono amplifier for it in order to provide sufficient power to the car subwoofer. Learn here about properly mounting the subwoofer box in the trunk. You need to know about the space you have in your car and make the decision accordingly. make an idea of the space you are willing to give your amplifier and buy the one according to this space idea. For more accuracy, you can make correct measurements from all the available space in your car and make the decision accordingly. The location you have chosen for installing the amplifier should be easy locating and should allow a clean wiring system as well. Most of the vehicles these days don’t come with an amplifier and for this reason, you will need to forcefully make space for your amplifier to be installed. Some of the best locations recommended by us are in the trunk, on the back of the seat and against the passenger-side firewall. Car amplifiers are designed differently by different companies and brands and you just need to choose a compact design amplifier which doesn’t require much space so that you can easily fit the amplifier in your car. Based on power, there are two basic types of car amplifiers i.e. analog amplifiers and switching amplifiers. The basic types of car amplifiers are further distributed on the basis of different classes ad each class is given its proper alphabetical letter name. Class A car amplifiers are grouped together as they use an internal circuitry to always having a current passing through output transistors. This Class of amplifiers is always on and they provide a clear and loud quality of music and sound. On the other hands, they come in big sizes and are not suitable for you if you have got less space for an amplifier in your car. Read about if you want more bass out of your subwoofer. Class B amplifiers are more efficient than that of A class amplifiers because of the fact that they are switched. Unlike the class A amplifiers, B amps use internal circuitry which allows them to switch off the output transistor whenever there is no availability of an audio or electronic signal. This feature makes them more efficient and in this way, they are able to provide more power to the speakers in order to have a loud and clear sound. The only drawbacks from this class amplifiers are low audio fidelity and signal distortion at potential points. Read this guide on car door speakers. Class AB car amplifiers is a hybrid of A amps and B amps respectively. Their transistors always have the current flowing but the circuitry it uses to sufficiently reduce the amount of current when there is no audio signal to amplify. Moreover, As a result, the efficiency of these amplifiers is much more than the of class A amplifiers and they also have a reduce distortion as compared to B class amplifiers. Due to these benefits, the AB car amplifiers are widely used commonly in most of the cars and trunks of the vehicles. While the A, B and AB car amplifiers are the classes of analog amplifiers, D class is the only car amplifier which is switched and is used in many car audio systems commonly. Unlike the typical class A, B, and AB amps, this amplifier operates by the means of switching on and off the current to transistor very quickly when there is no audio signal to amplify. The class D car amplifiers are very efficient which but the switching mechanism makes distortion in sounds and hence you will feel a little noise when the amplifier turns on for a little period of time. A lot of mono subwoofer amplifiers are based on class D amplifier systems but the size and other power benefits make them one of the best and popular amps across the world. While we have discussed some of the common classes, there are many other amplifiers which are made by connecting different amplifier system at the same time. For example, the BD type car amplifier, which is a hybrid of Class B and Class D car amplifier is able to provide lower distortion at fewer frequencies as compared to D class amplifier and are able to work more efficiently than the of class B type amplifiers. Which Amplifier Class You Should Choose? The above class of amp systems is pretty much complex to understand in a short time right? Yeah, you will need a lot of time to understand the classes but we have simplified the things for you. So, if you need a good and loud audio quality without getting in too much deep, you should go for class A or class B car amplifiers as they are the most used amplifiers available on the market. Well if you have got driving subwoofers, the best choice for them will be the D class car amplifiers. So, make your decision simple by just picking up the different amp systems on the basis of sound quality and compatibility. Some of the most asked questions are answered here by us. So, if you have got any confusion just scroll down to see the answer to your solution with easy and simple understanding. What Does Car Amplifier Do? Well, the main function of a car amplifier is to provide an enhanced electric signal an overall boost to your speakers so that they can perform well and can be able to provide a larger and louder sound. How To test Car Amplifier with Best Multimeter? How To Use Car Amplifier in Home? Well, the answer is, you can easily use a car amplifier in a home by simply connecting it to a 12volt DC power source. After connecting it to the power source, connect the wires of your home speakers with the amplifier to start enjoying loud and clear music. Car amplifier is a device which will boost the electric or audio signals to provide more power to the speaker so that they can perform well. On the other hand, the car stereo system is used to control the whole audio car system. I hope after this detailed buyers guide for car Amplifiers, you will now have better knowledge about car amplifiers and their types and usage. Fellows at MechanicFAQ blog, helped for this article. Wishing you good luck with your search for Best Car Amplifiers. Single Din vs Double Din Head Units.